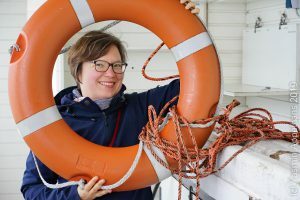 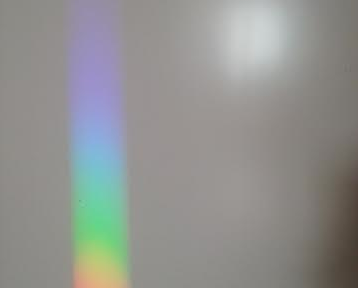 Lets go back and talk about one of my favorite non-oceanographic topics: Rainbows! 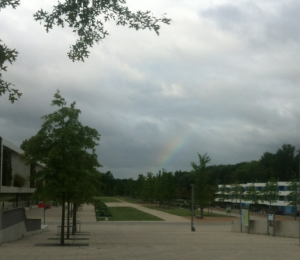 My renewed interest in rainbows was sparked one Saturday where I saw one on my way to the swimming pool in the morning. 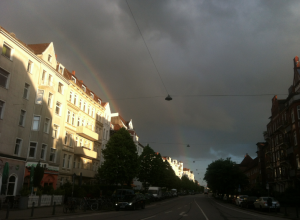 And then a double rainbow on an evening walk with a friend. 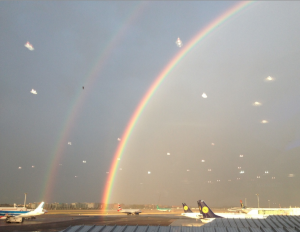 And then another friend, F., sent me the picture below which he had taken at Heathrow and which he kindly allowed me to use for educational purposes on my blog. 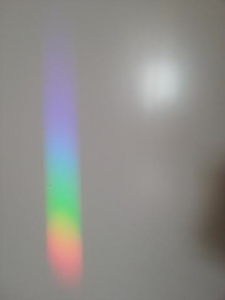 This entry was posted in observation and tagged optics, prism, rainbow on July 10, 2015 by mglessmer.